We are also a rescue group. We rescue cats from the Tarboro Animal Shelter, and take them back to our Foster House, where the cats live. We then socialize the cats if they're not too trusting of humans, and once socialized enough, we will allow them to be adopted. 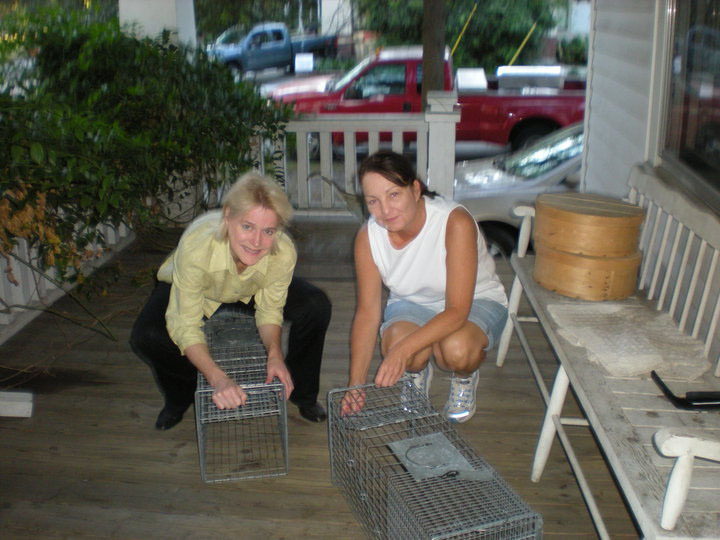 Tarboro TNR is comprised of volunteers that are dedicated to the health and safety of Tarboro's feral cat population. First we identify a feral cat comunity. We then notify folks in the neighborhood that we will be trapping in the area. Volunteers set humane traps which attract free-roaming cats in targeted neighborhoods. After the cats are trapped they are transported to one of our cooperating vets where the cat is spayed or neutered. Each cat is then ear tipped to indentify it as a TNR cat. The cat is then transported to a volunteers home for a period of recovery before it is returned to it's original location. If for some reason the cat(s) cannot be returned to the original location then a safe alternate location is selected for release. We are also a rescue group. We rescue cats from the Tarboro Animal Shelter, and take them back to our Foster House, where the cats live. We then socialize the cats if they're not too trusting of humans, and once socialized enough, we take them out to Petsmarts in Rocky Mount, Wilson & Smithfield on most weekends for adoption events. We also have local adoption events and offer scheduled visits at the Foster House. We schedule trapping dates. Would you like to participate? Fill out a volunteer form on our Volunteer page. Two of our volunteers preparing traps.